Saturday, April 13, 8 AM – 1 PM. Girls 5th through 12th grade apply at http://www.excelvillage.org. SpaceLab Detroit is a proud Community Sponsor. Thursday, April 4, 2019 at 6 PM. Credit For Business with Business Credit Literacy Initiative & Credit IQ, LLC. If you are an architect, interior designer, real estate developer, contractor or related professional in the design and building industry, email us with your full name, company name, email address phone number, and role in the building industry for access to event registration. Friday, March 15, 8 AM: Urban Land Institute Women’s Leadership Initiative BUILD UP Breakfast Clubs. The Clubs aim to bring together small groups of women and give them an opportunity to build lasting relationships, engage meaningfully with women working in their field, and build strong networks within their region. Join the group for breakfast, networking, and discussions on topics relevant to our industry. The breakfast clubs are free and open to both members and non-members of ULI. Please feel free to share with women in your network. Friday, March 15, 12 noon. Drop In for Board Games at Lunch – Millennial Monopoly. 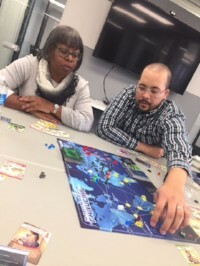 Bring your lunch and join SpaceLab members in exploring new board games. No RSVP needed; just drop in to wind down the week with fun and games. Thursday, March 21, 5:30 PM. I L.O.V.E. MY KIDS with MATH by POWEROrgMath. 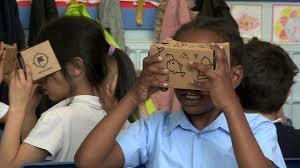 Adults engage in 4 activities to support youth through Listening attentively, Observation, Validation and Exploration. Tues., January 08, 6 PM – 8 PM: Drones for Construction + Real Estate: After being honorably discharged from the U.S. Navy as an Electronics Technician, Seann Lewis recognized the need for quality technology services at an affordable price. What began as a one-man operation has quickly grown into much more. Seann’s company is now a leading provider of drone services for construction and real estate projects in the metro Detroit area. Drones can improve efficiency and transparency on a project and reduce risks and delays, helping to cut costs for your company and your clients. 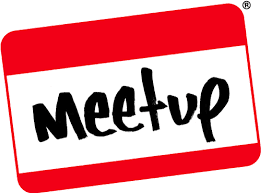 Join our MeetUp group and RSVP or sign up on Eventbrite. Representing Arktura, Gage, Moxie Surfaces, Torzo and many other product companies, Architectural Product Solutions specializes in “very cool stuff” and offers a wide range of products for both interior and exterior that are fascinating, innovative and highly functional. Arktura is a carbon-neutral company. Email SpaceLab with your name, email address, company and role in the design/construction/real estate industry for the password to register. Coronado Stone Products® is the oldest manufacturer of stone veneer products in the industry, developing and manufacturing stone veneer since 1959. They produce over 50 different varieties of Manufactured Stone Veneer, as well as thin brick, tile and precast products, which are available around the world. Wednesday, July 25 at 6 PM: National Association of Black Women in Construction (NABWIC) Meeting. 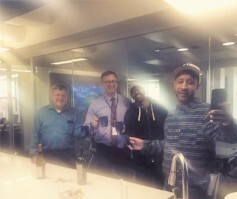 SpaceLab members gather in the community kitchen on first Thursdays to Celebrate the Win – new clients, new business, birthdays, good press – accomplishments and milestones big and small. See details on our coworkers’ successes here. Thursday, June 28 at 6 PM: Making a House a Home: Creating Resources for Success with the Detroit Land Bank Authority. This event has reached capacity. Add your name to the wait list. The Detroit Land Bank has been selling roughly 35 properties a week for more than a year to mostly Do-It-Yourselfers. There are over 2,300 properties that are currently under renovation. What resources can be marketed to Buyers that will improve their chance for success? Our presentation will introduce participants to Land Bank Sale programs and identify opportunities for the Building Community to develop resources that will help Buyers overcome the major obstacles that prevent their dream house from becoming a home. 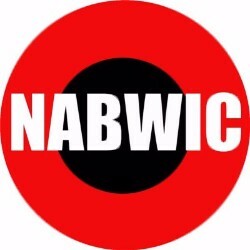 Wednesday, June 27 at 6 PM: National Association of Black Women in Construction (NABWIC) Meeting. This continuation of the series is for those who participated in Part I. Contact LaToniya Jones for more information. POWEROrg Math engages youth ages 10-16 and their families to improve math skills and practices related to money management, consumer awareness, banking, and stocks. Workbooks, case studies, online research, games, simulations and a culminating presentation are included. Thursday, June 21 @ 12 noon: Workplace Faith Group. Faith Group meetings are simply a time where we come together for food, fun, to make new friends, pray, and to learn how to apply God’s teachings at work and in our lives. Lunch is provided. Email Bobby Burton. Real estate development opportunities are plentiful in Detroit – whether starting with a Land Bank house, purchasing an entire block, rehabbing a multifamily building, or purchasing a commercial property in a neighborhood. What does it take to begin ? How do you handle day-to-day operations, even when holding down a full-time job? What steps do you take – from site selection to financing to rental or sale – for a successful project? Learn from small scale developers who’ve been where you are and where you want to be SpaceLab Detroit’s Developer Diaries series. They’ll share best practices, mistakes to avoid, and documented tips for success. Antoine is a licensed broker and will soon obtain his residential builder’s license. He has more than 2,000 successful real estate transactions to his credit, encompassing nearly every aspect of the single family residential space, including traditional residential buyer and seller representation, mortgage brokerage, hands-on, whole-house renovations, project, property and portfolio management and private, personal investment. Read more about Antoine Hayes and RSVP on Eventbrite. John Delia will reveal a proven framework that anyone can use to amass the real estate portfolio of their dreams – to go from sitting on the sidelines to getting your first rental. Read more about John Delia and RSVP on Eventbrite. Thursday, May 10 @ 12 noon: Workplace Faith Group. Faith Group meetings are simply a time where we come together for food, fun, to make new friends, pray, and to learn how to apply God’s teachings at work and in our lives. Lunch is provided. Email Bobby Burton. Saturday, Apr. 21 and Apr. 28 at 2 PM: The POWER Org Math and Financial Empowerment Series. Session 2: Money Management (Budgets, saving, spending habits). This 11-part series will engage youth and families in Metro Detroit to improve math skills and practices related to money management, consumer awareness, banking, and stocks. Sessions will be facilitated by POWER Org Math team members, finance and industry professionals. Workbooks, case studies, online research, games, simulations and a culminating presentation are included. There are events on multiple Saturdays through May 2018. Contact Ms. Jones of POWEROrg Math for more info and to register. Monday, Apr. 30 @ 5:30 PM: American Institute of Architects (AIA) Detroit – Urban Priorities Committee Meeting. “The UPC strives to improve local neighborhoods, encourage design thinking, and build connections and relationships.” The UPC is a volunteer-driven committee of AIA Detroit. Sign up on Eventbrite. Saturday, Apr. 28 @ 11 AM: Bedtime Stories – Luxury Bedding for Restful Sleep. Learn to choose the best linens and how to make a comfy, luxurious bed so you can have restful sleep every night. Interior designer Doreen Hunter will show you how to choose sheets with a high thread count and other high quality linens and bedroom accessories to create an environment that will lull you to sleep at night and allow you to wake with energy to last throughout the day. This is a FREE EVENT. Sign up on Eventbrite. Monday, Apr. 16 @ 12 noon: Lunch & Learn with Nichiha Architectural Wall Panels. Join Berardi+ for lunch with Nichiha . Learn how architectural wall panels and related products can be used for commercial and multi-family projects by architects, contractors and developers. Continuing education credits (CEU’s) will be available. This is a FREE event. 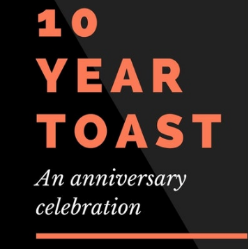 To attend, email Karen at SpaceLab. Email Kimle Nailer for more information. 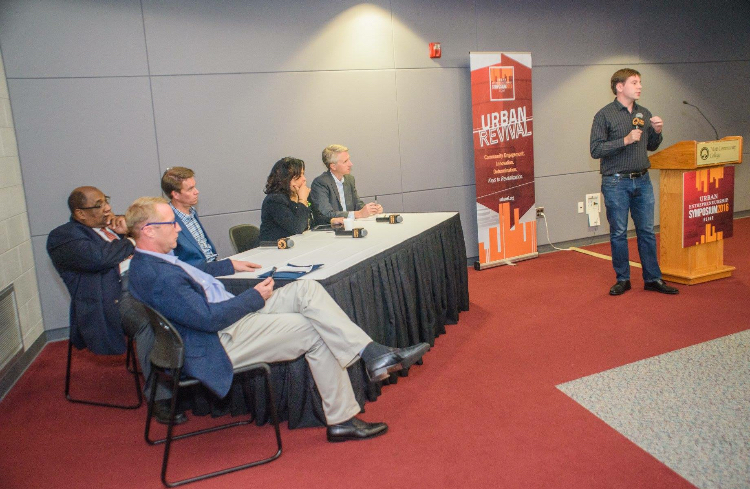 Explore the SpaceLab Detroit Urban LaunchPad. This one-of-a-kind workshop series is designed for entrepreneurs and entrepreneur teams who want to sharpen their ability to make lasting improvements in urban quality-of-life through the creation of for-profit businesses, such as: jobs and economic development, public safety, transportation, affordable housing, public utilities and infrastructure, environmental safety and sustainability, and more. The LaunchPad will begin with an introductory overview session that is open to public registration. At this 2-1/2 hour session, Mr. Tarver will walk participants through the complete process of developing an “urban-focused” business, and will give an overview of the Urban LaunchPad workshop sessions. Following this introduction, attendees will be invited to apply for participation in the subsequent workshop sessions. The event is open to SpaceLab Members and non-members. Reserve your seat on Eventbrite. Members and non-members of the American Institute of Architects are welcome. Thursday, Feb. 10 at 6 PM: Developing Parker Village, Highland Park’s Smart Neighborhood. Come get the rundown on Parker Village, a redevelopment of a nearly two-acre parcel at the former Thompson Elementary School in Highland Park. Parker Village will be the hub of a new “Smart Neighborhood,” one of the first in the state. Juan Shannon, a life-long resident of Highland Park leading the development effort, will layout the plans, highlight the smart, sustainable and green infrastructure features for the community, and share how you can partner in developing this hi-tech community. Who can get involved? Contractors, developers, potential investors, volunteers, community resource leaders and anyone looking to be involved in the development of a smart neighborhood, powered by renewable and green infrastructure. Sign up on Eventbrite to save your seat! 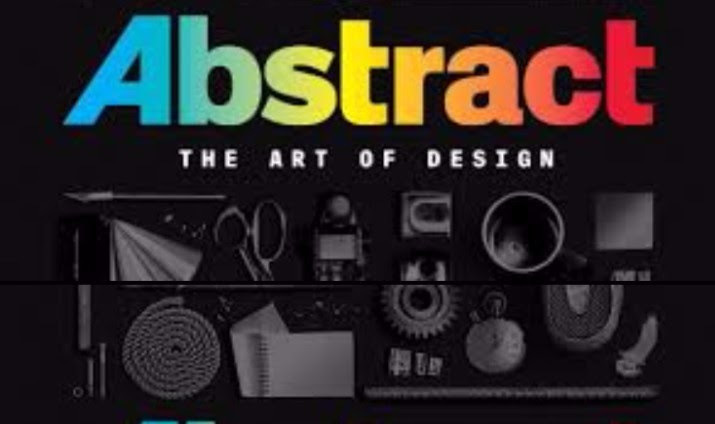 Saturdays – Jan. 27 thru Feb. 24 at 10 AM: SpaceLab Book Club. “Find the Lost Dollars” by June Jewell. An architect, urban planner, interior designer, and built environment industry consultant started a book club to learn to improve business and increase profit. It’s not too late to join the club! 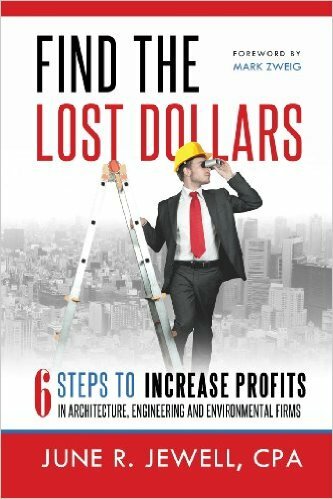 We’re continuing to review and discuss the book, “Find the Lost Dollars” by June Jewell, and we’ll begin implementing the six steps to recover the lost dollars in our respective firms. It’s not just limited to architects and engineers – the advice applies to many professional services and project delivery firms and those who want to understand how their job relates to the profitability of their company. Feb. 24: Discussion of Chapters 1 – 10, the we’ll determine our schedule for completing Chapter 11, the 6-step process. The SpaceLab Book Club is FREE! Books are available on Amazon. Reserve your seat on Eventbrite. Thursday, Jan. 25 at 6:00 PM: How to Start Your Non- Profit Organization or Community Development Corporation (CDC). If you ever wanted to start a nonprofit organization, begin a CDC at your church or want to learn the truth about nonprofits…this is the workshop for you. This dynamic workshop will teach all social entrepreneurs and those curious on how to form a nonprofit the proper way. – What is the difference between nonprofit and for-profit? – Defining your mission and vision. – Steps to start and build your non-profit. – Special topics as it relates to faith-based organizations! Real Estate Crowdfunding is growing more popular as a financing alternative to traditional capital market channels, and local citizens and sponsors are using Crowdgranting to fund public spaces projects and qualifying for matching funds. Our panel of industry leaders and local platforms will share how investors, developers and builders, entrepreneurs, community development organizations and residents can all benefit from these funding methods for residential, commercial and public space projects. This is a FREE event. Get your ticket on Eventbrite. Tuesday, Jan. 10 at 9:30 AM: Breakfast + Binders: January Manufacturer’s Rep Day. Manufacturers’ representatives, designers and builders meet up and network at this quarterly event in downtown Detroit. Reps share information and industry pros and get insight on the latest products for the commercial and residential architecture, interior design and construction indudstry all in one place. We have samples, brochures and binders of furniture, fabrics, surface materials flooring, paint and more in our library. Come see the resources that are available to our members. Members in our coworking and shared office space include: interior designers, architects, construction consultants, real estate professionals, building tradespeople, art galleries, and manufacturers representatives. And we are in walking distance of several architecture and design firms and real estate developers in downtown Detroit. Space is limited. Email Doreen Hunter or call 313.379.7000 to attend. See a list of products in our library here. POWER Org Math is increasing financial literacy among our youth. 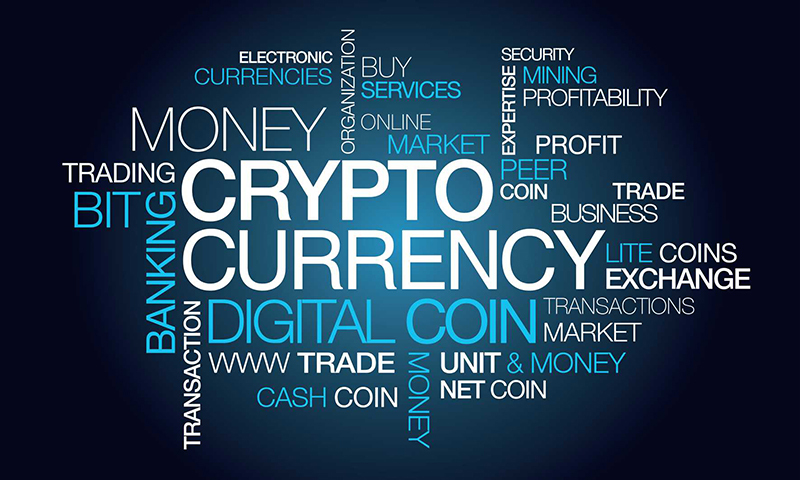 At this session, Kwaku Osei of Cooperative Capital gives an overview of cryptocurrency, a digital or virtual currency that uses cryptography for security. Bitcoin is one of the most popular cryptocurrencies. The session will also include a quick math and financial literacy assessment. The audience is youth ages 10-16 and their adult family members. Email LaToniya Jones to register and for more information. Thursday, Dec. 7 at 3:30 PM – 4:30 PM: Celebrate the Win! SpaceLab Detroit Coworking Members Event: We’ve got a lot to celebrate and be thankful for in this last month of the year. Share your 2017 successes, and tell us some of your goals for the new year. We’re a community that believes in helping each other reach new heights, and we want to help you reach your destination. Meet us in the community kitchen, and share your good news. 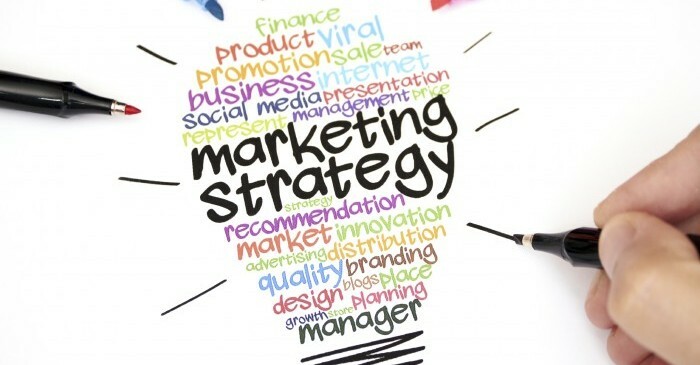 Monday, Dec. 4 at 12 noon to 1:30 PM: Develop Your 2018 Marketing Strategy – Session 3. Attendees of previous sessions have determined their required revenue, outlined their target markets, worked on their SOAR analysis, and set some measurable goals for 2018. In session 3, we’ll develop a calendar of actionable marketing and business development activities. 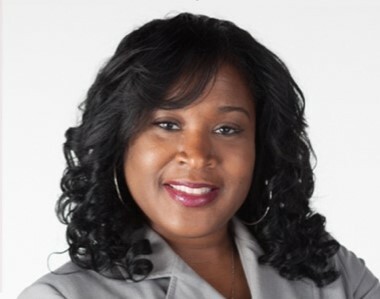 AEC Marketing Strategist Karen Burton of Building Industry Resources, LLC guides the process. Dec. 4: $10 each for SpaceLab Coworking Members, $25 for all others. Reserve your spot at Eventbrite and contact Karen with any questions. Friday, Dec. 1 at 12 noon: Bryan’s Board Games: Take a break at lunch and drop-in to play some familiar games or learn some new ones with architect and game designer Bryan Cook. FREE. No registration required. SpaceLab member, Bryan Cook, is a board game aficionado. He’s even designed games and created prototypes! Take a break Friday afternoon and bring your lunch for this casual drop-in activity. FREE. No registration required. Contact Kimle Nailer for more info. A time of celebration and professional networking. Members, non-members and future members are welcome. Wine and hors d’oeuvres served. Tickets available here. The group will take a look at a bunch of the cool apps available for iOS and Android and look at a few things coming soon. They’ll go over Google ARCore, Apple ARKit, what’s coming for Vuforia 7 and how to get started with all of these SDKs (software development kits), separating the hype from the realities… See more and sign up to attend on MeetUp. Thursday, Nov. 2 at 3:30 PM – 5:00 PM: Celebrate the Win! SpaceLab members and guests celebrate new projects, new clients, birthdays, and accomplishments big and small. Meet us in the community kitchen, and share your good news. Wednesday, Nov. 1, 5:30 PM: Detroit Women in Architecture MeetUp Group. 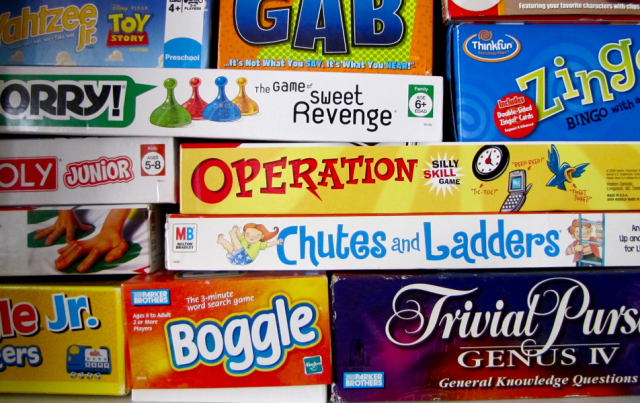 Friday, Oct. 27, 12 noon – 1:30 PM: Bryan’s Board Games. SpaceLab member, Bryan Cook, is a board game aficionado. He’s even designed games and created prototypes! Take a break Friday afternoon and bring your lunch for this casual drop-in activity. FREE.No registration required. Wednesday, Oct. 25, 5:30 PM – 8:00 PM: Wind Down Wednesday with a Movie. Take a mid-week break: enjoy a movie, light snacks and great conversation. We’ll start working our way through the “Abstract: The Art of Design” series, beginning with the feature on architect Bjarke Ingels. FREE EVENT. Invite a friend and save your seats! Sketch the Detroit-Windsor skyline from our 7th floor window, or choose another city skyline on our monitors. SpaceLab will provide the sketch pad, jazz and refreshments; you bring your favorite pencil or pen. Includes complimentary drink on arrival and light snacks. SpaceLab’s Entrepreneur Advisor David Tarver and Aubrey Agee, Senior Program Administrator of Innovation Warriors at Wayne State University will speak on engineers with a passion for technological innovation and encourage start-ups and new ventures in the engineering community. Contact Julian Bates, Detroit NSBE Chairperson for more information. 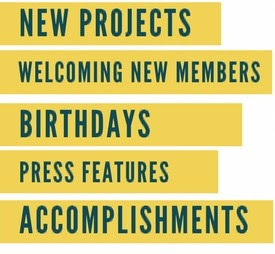 Celebrate new projects, new clients, birthdays, and accomplishments big and small. Open to SpaceLab members and their guests. FREE. Save your seat through Eventbrite. Tech savvy youth ages 10-15 will learn about animation and virtual reality in a variety of environments and explore professional programming software used in the built environment community (architecture, engineering and construction), as well as make meaningful math connections to animation. 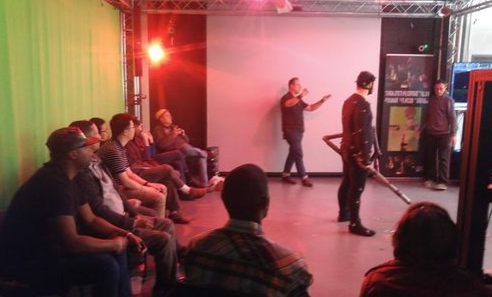 Participants should have an interest in animation and gaming. No experience is required. This is an invitation only event. Call SpaceLab at (313) 379-7000 for more info. Wednesday, Sep. 13, 6 PM – 8 PM: Everything You Wanted to Know About AEC Digital Marketing but didn’t know to ask. You have just about eight seconds (or less) to convince a potential client that your company is worthy of their time and business through your online presence. Ask yourself: What does my online brand communicate? Speaker: Attorney Leamon R. Sowell, Jr., Sowell Law Partners. Email for info on how to RSVP. Thursday, June 22 at 12:00 p.m: Lunch and Learn hosted by Plan Grid, the construction blueprint app. Register on Eventbrite. Email karenb@spacelabdetroit for a code, if needed. We’re joining the networking event for Detroit’s creative community, Drinks x Design. Get ready for the Napkin Sketch Battle at July’s Drinks x Design – Architecture Edition!